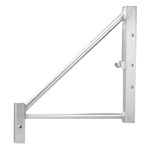 Instead of the standard "trigger-style," or "plunger-style" locking mechanisms, we use a "Double-Pin," U-Shaped Handle (see the picture below)! We have also spent extra money to reinforce our already strong Work Platform. 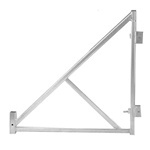 Most scaffold companies use two deck reinforcements (on the underside of the plywood deck), however, Scaffold Store uses FOUR (4) STEEL ANGLE IRON DECK SUPPORTS! Our Work Platform is All-Aluminum, with Aluminum Deck Supports! 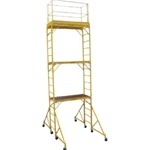 The Multi-Function Scaffold is ideal for getting though narrow aisles, hallways, and doors! Because these Units do not utilize traditional Cross Braces, they are perfect to span church pews, desks, and furniture! Fast & Easy to set-up & take-down. Easy to store (doesn't take-up much space). 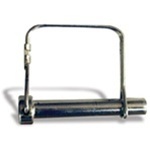 1.5" x 1.5" Steel Square Tubing (legs). 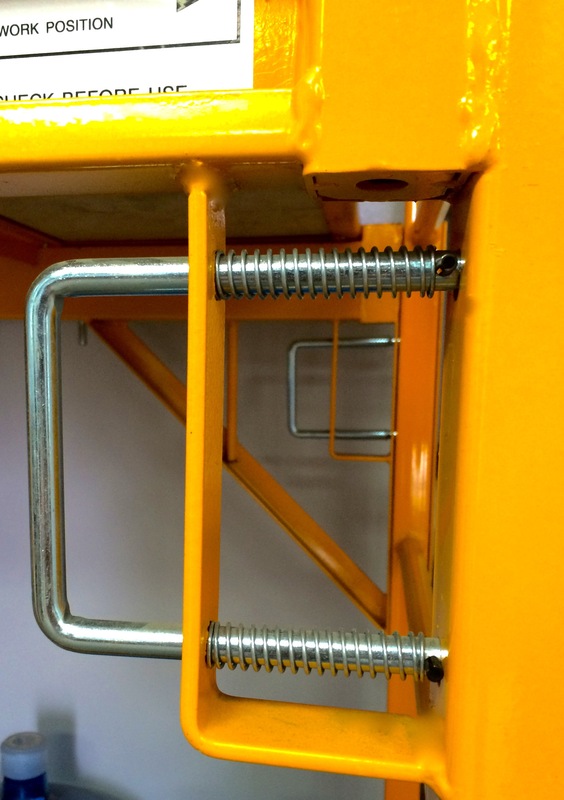 The Work Platform is adjustable in 2" increments. Perfect to use on stairs! Powder coated for scratch & rust protection. Other common names: Baker Scaffold, Multi-Purpose Scaffold, Utility Scaffold, Pro-Jax™, Buildman™, Drywall Baker™, All Purpose Scaffold.